In the beginning of the month, Arvind Kejriwal had written to ML Khattar expressing his wish to inspect some state-run dispensaries in Haryana. 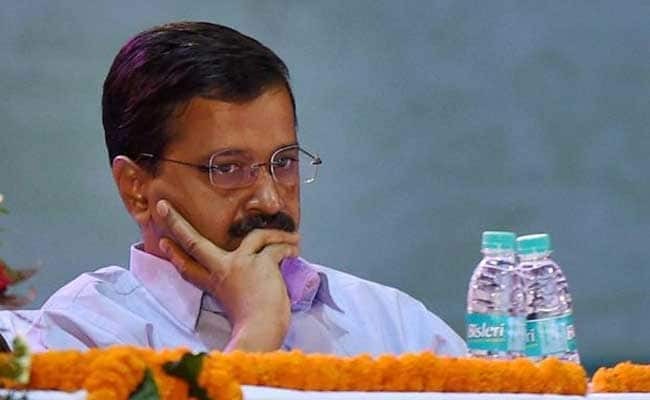 After challenging his Haryana counterpart to conduct surprise inspections at Mohalla clinics in the national capital in a recent letter, Delhi Chief Minister Arvind Kejriwal sent another letter to Haryana Chief Minister Manohar Lal Khattar on Monday expressing disappointment at not getting any response to his earlier communique. In the beginning of the month, Mr Kejriwal had written to Mr Khattar expressing his wish to inspect some state-run dispensaries in Haryana on November 12. Further, he had invited Mr Khattar to visit 'mohalla clinics', which have been set up by the AAP dispensation, to check the "ground reality" of the health institutions of Delhi. "I had written a letter to you on November 2, but received no reply. I felt a little bad about this. No matter how many political differences we may have, it is expected that a chief minister will respond to the letter of another CM," Mr Kejriwal wrote to Mr Khattar in his latest letter. In the communication, the Delhi chief minister mentions about inviting Mr Khattar to visit 'mohalla clinics' in the national capital, while expressing his wish to visit some government dispensaries in Haryana. "You have not replied to my (November 2) letter. Should I assume that you agree with the fact that hospitals and schools in Delhi have become better and that the condition of schools and hospitals in Haryana is not good?" wrote the Aam Aadmi Party leader. With state assembly polls in Haryana due next year and AAP eyeing to wrest power from the ruling BJP, Mr Kejriwal said in his letter that "this time people are not going to vote on the basis of caste and religion..."
He told Mr Khattar that the party which raises the standards of schools and hospitals and works for the people's welfare will form the next government in Haryana. The AAP supremo had challenged the Haryana CM to visit Delhi government-run mohalla clinics after the latter dubbed them as "halla" (chaos) clinics. "I will inspect some dispensaries in Haryana on November 12. If this date is not suitable to you (Khattar), give me a suitable date, I will come on then," Mr Kejriwal had said in his previous letter. Mr Kejriwal, who has made multiple visits to Haryana in recent weeks, has been targeting the BJP-led government over "poor" education and health services and urged the people to help the AAP to come to power in the state.